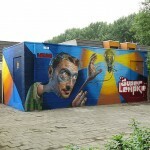 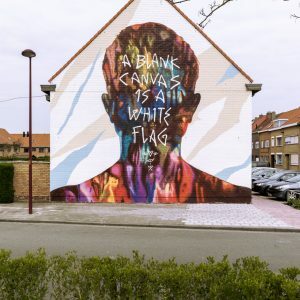 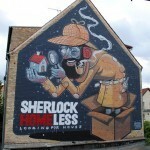 While he was last seen painting in Netherlands (covered), Belin is now in Southern Europe for the Graffiti Heart 2 Festival. 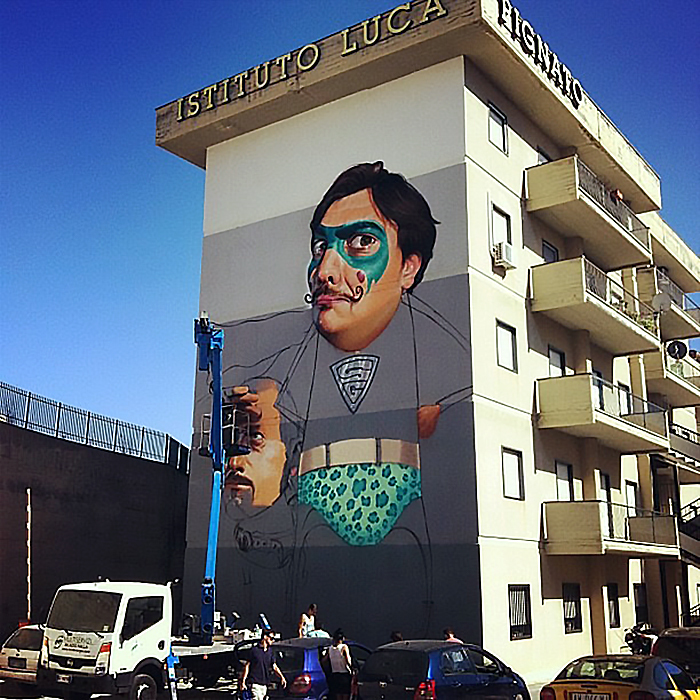 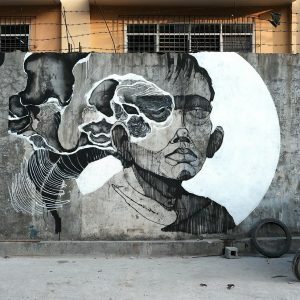 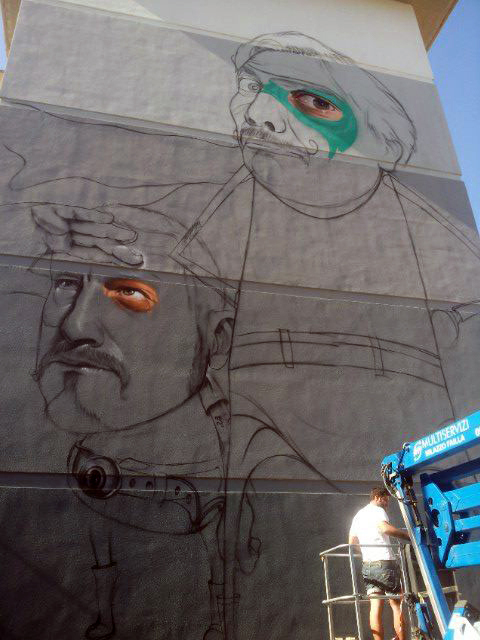 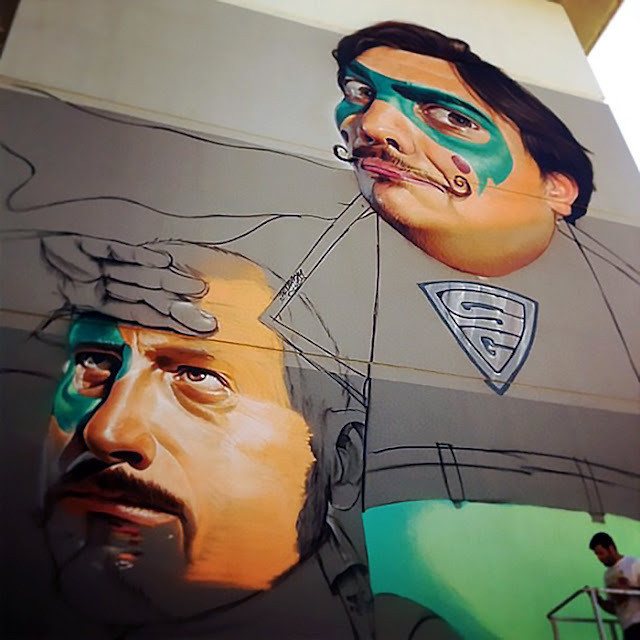 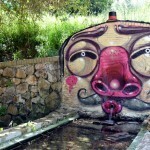 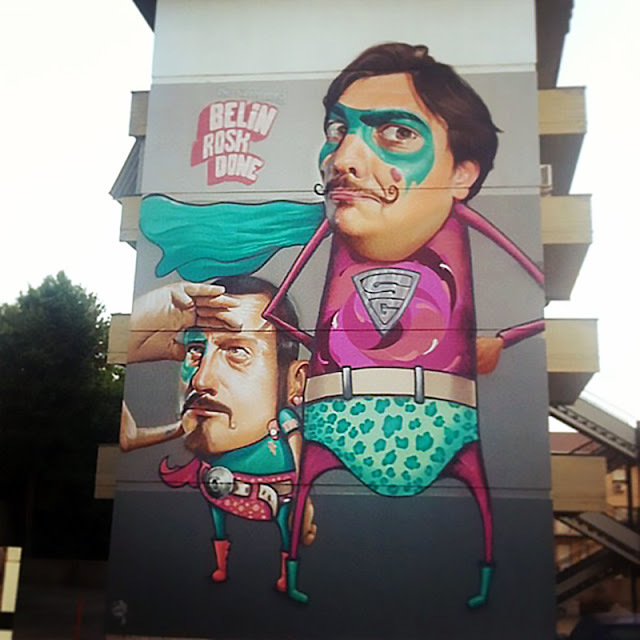 The Spanish artist spent a few days Calatanissetta, Sicily to work on one of his trademark superheroes mural. 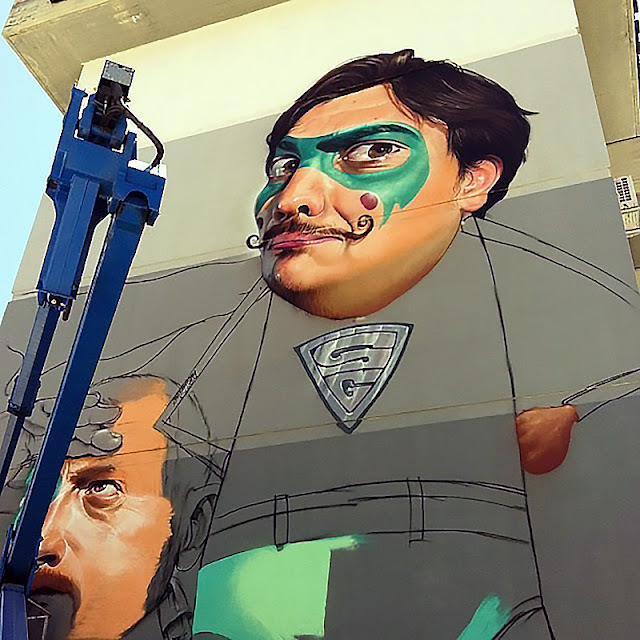 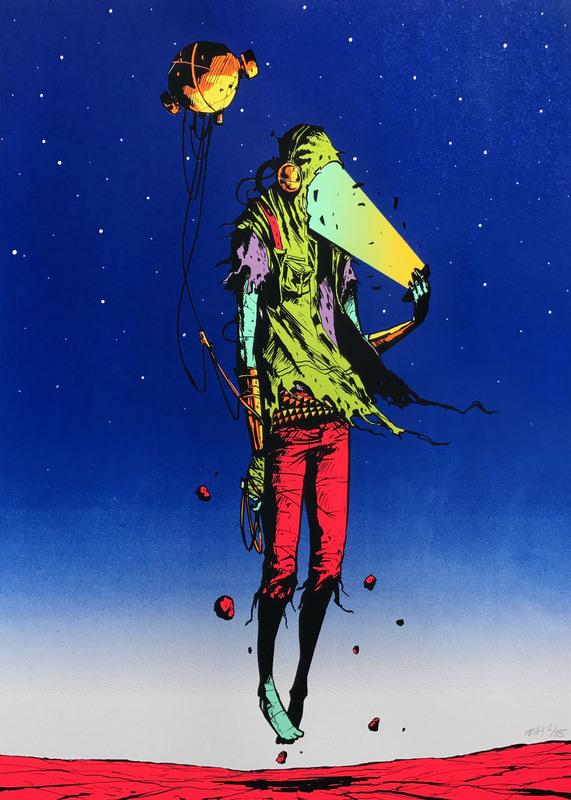 Continue reading to see a full set of angles on this piece and stick with us to figure out who will be painting in Caltanissetta next.